I often came across with lots of internet media which explain that pu-erh tea contains less caffeine. Is that really true? I studied various science literatures to find out the truth. There are two types of pu-erh tea, raw pu-erh tea and ripe pu-erh tea. In the heart of tea production zone in Yunnan, people naturally refer to the raw pu-erh when they mention pu-erh tea. 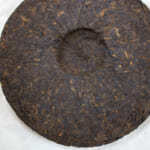 The raw pu-erh tea has about 800 years of history. 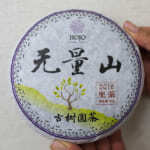 As for ripe pu-erh tea, it was a newly invented tea product in 1970s. The ripe pu-erh tea was made by microbiological fermentation with refer to the production method of compost. 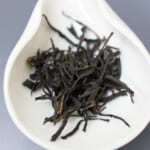 The raw pu-erh tea in fact is one kind of green tea. 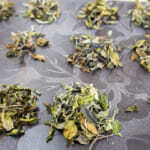 The difference in process between green tea and raw pu-erh tea is only about the drying method. 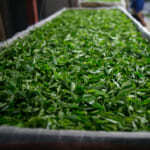 The green tea is dried with hot air, while the raw pu-erh tea is dried under the sunshine. The rest of the process is about the same. 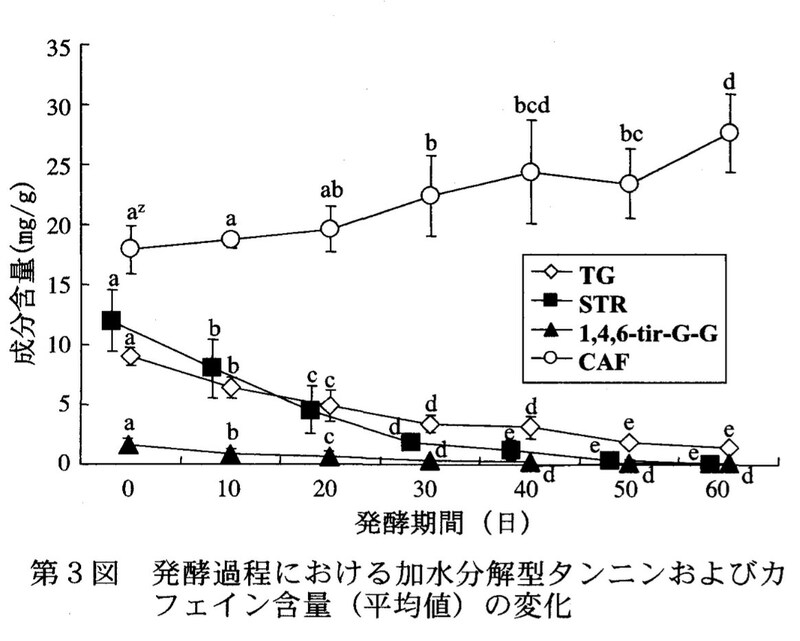 Jia-Hua Li, Japanese Society of Agricultural Technology Management 15(2) : 73-79, 2008（Japanese）showed the changes of caffeine content during the fermentation of ripe pu-erh tea. The Y is the concentration and the X is the duration of fermentation. CAF is the caffeine content. The data shows that caffeine content increased following the process. It could be due to the losses of some volatile substances during fermentation. The total weight of tea might have decreased. Eventually, the relative ratio of caffeine might have increased. Most importantly, it shows that caffeine is not decreasing by the fermentation. Yuegang Zhou, Hao Chen, Yiwei Deng, Talanta 57 (2002) 307-316 carried out a quantitative analysis of caffeine using HPLC. 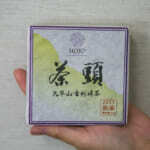 In this literature, they compared between teas with various quality and plucking timing. So I cannot take it as a perfect reference. 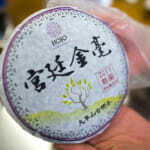 Nonetheless, the level of caffeine in ripe pu-erh tea is more or less the same as other tea. Based on the above data, the caffeine content in ripe pu-erh tea is not really decreasing even after the microbiological fermentation. It seems caffeine is a very stable substance. We concluded that caffeine content in pu-erh tea is as much as other teas. It is known that the caffeine content decreases if tea is plucked later in season. It means the later the tea is plucked, the lower the caffeine content. It could be the reason why Fujian oolong in the above table contains very low caffeine. 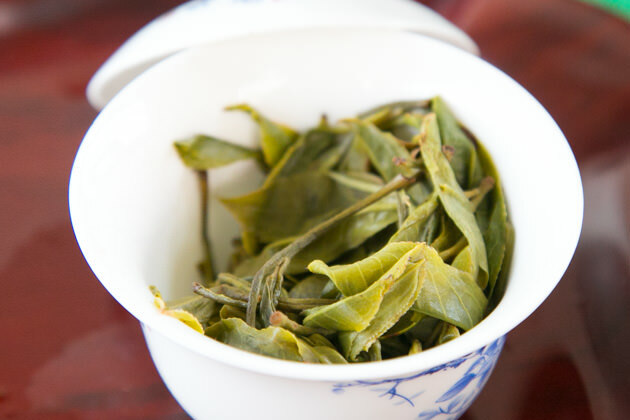 Fujian oolong such as Wuyi oolong or Anxi Tie Guan Yin is plucked very late. 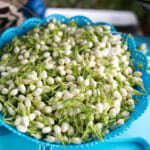 Normally these teas are harvested when tealeaf is grown and the substances are well-matured. In fact, caffeine is the substance that gives bitter taste. 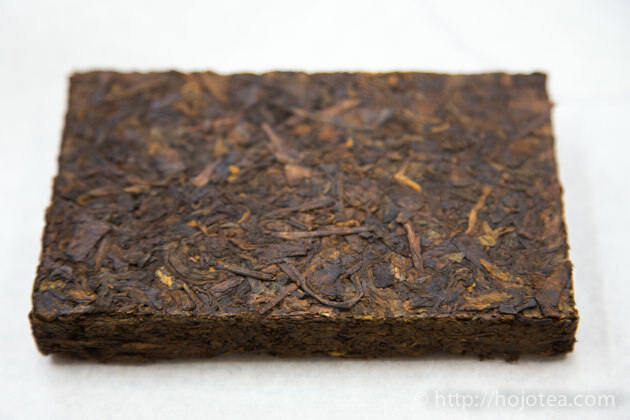 Usually, the lower quality the pu-erh tea is, the more it gives bitter taste, while the quality pu-erh tea gives very least bitterness. The bitterness of tea is in inverse proportion to the aftertaste. The better the quality the tea is, the longer lasting the aftertaste it has. The lower quality tea means it is produced by mass production style. In order to cater for the mass production output, tea is grown with lots of nitrogen fertilizer. The quality of tea becomes better if it grows slowly. 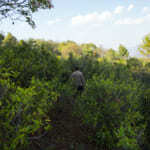 Naturally the tea grown without fertilizer grows very slowly and it gives very long lasting aftertaste. In a way, the bitterness of tea is determined by fertilizer. The interesting fact is caffeine is the substance that contains four nitrogen in its molecule. To me it looks like the nitrogen fertilizer has anything to do with the formation of caffeine. In other word, if you look for the tea that originally contains lower caffeine, we believe naturally-farmed tea (tea without fertilizer) should be the one. Nevertheless, this is merely my hypothesis since I do not have research data with me yet.